attractive home decoration floor, walls, sliding door with bamboo materials. of some of the excess above the bamboo also has disadvantages, among others, is susceptible to wood powder, shorter age and also easily eaten by termites. Bamboo can use for eksterior and interior. For interior bamboo usually use for floor cover. And for eksterior use bamboo directly place on the floor. Bamboo that use for cover ventilation is a woven bamboo with a wide rift. In the construction of houses made ​​an square that will become a place of woven bamboo. 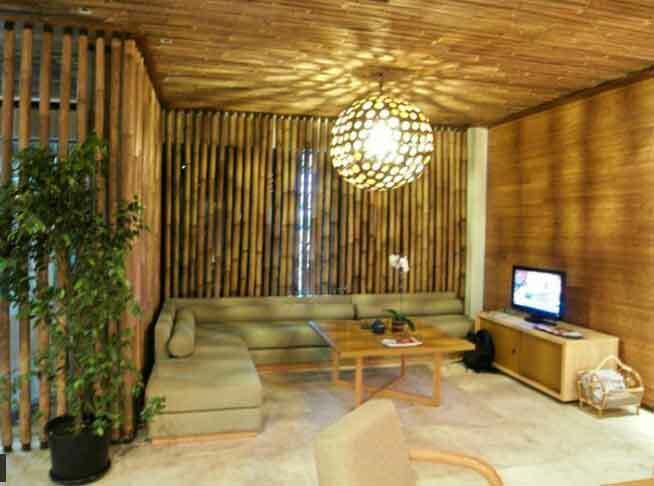 There is a review of the material bamboo that can be used in decorating homes. 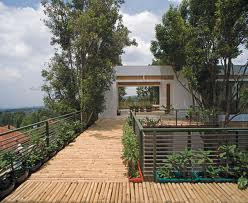 The use of bamboo in a construction can save up to 30% when compared to conventional homes. The desain home of bamboo also very fancy and miscellaneous now.